Have you moved to a new home, and you don’t know who has the key to your new home? Then, you need residential locksmith services from a professional locksmith company! We offer all type of Residential Locksmith Services. In addition, we also offer premium quality products. With that being said, we support our services at an affordable price and three months guarantee. All of our solutions are customized specifically for your requirements and budget. So you can be confident that we will have a solution to fit your needs. There are many reasons why you may need an emergency house locksmith. One of the most common reason is a residential locksmith for a house lockout incident. If you are looking for a company that can provide you high quality of residential locksmith services, then you can stop searching! We can be the residential locksmith company that you trust for all of your home security needs. We help you to get rid of burglaries and thieves. You no longer have to bear the tensions of an empty home while you are away at work or traveling. This also includes when you go for a long vacation. With this in mind, you should be careful where you hide a spare key to your house to prevent a lockout situation. Keeping your home safe is extremely important. For that reason, you need to remember that almost in all homes, the first line of defense is your lock on the door. Depending on the type of lock you have, they can go a long way in preventing people from entering. Whether you are at home or away, having a good working lock on your door will help to provide the safety you need. It’s very important to realize that we can do all residential locksmith services. Whether you lock yourself out of your home, need to re-key a new property, or maybe to increase the security of your home, we can help. For the purpose of remodeling your home, we can install a beautiful hardware upgrade for your home. We meet your satisfaction fast! 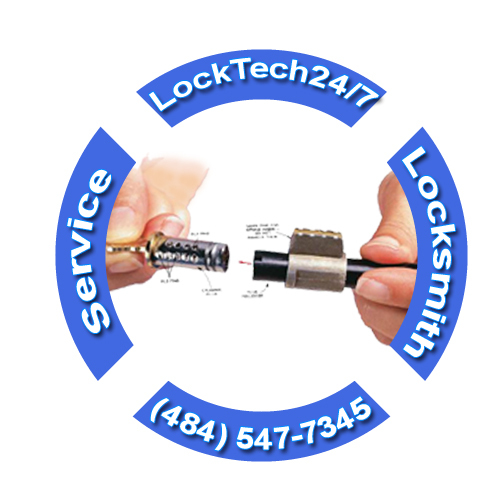 At LockTech24/7, we have fair prices and never have hidden charges. 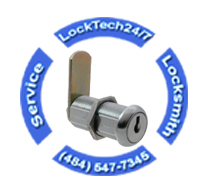 We, at LockTech24/7 believe you deserve peace of mind. You probably feel safe in your home because of your doors. However, doors can be incredibly easy to unlock by experienced burglars. 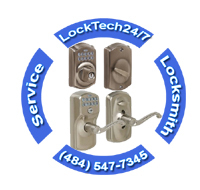 Through the excellent services from LockTech24/7, you can feel safe in your home at all times. 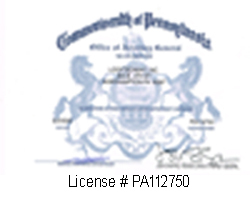 Our Allentown locksmith technicians proudly serve the entire Lehigh Valley, Pennsylvania and beyond. We come to your property to check the security grade of your home. We offer the best and cheapest solution to protect you, your family, and your assets. Before calling a locksmith, you can check our post of how to unlock your house. Furthermore, not only we can unlock the main door of your house, but can also unlock any bedroom in your house. If you still need help, please call us. 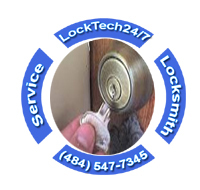 LockTech24/7 offers 24/7 residential lockout services in Lehigh Valley Pennsylvania. We offer 20 minutes response time, so you don’t need to wait long for help… fast residential locksmith is what you need. Our technicians are available to unlock your door at any time, whether you need to open the doorknob on your door, or the deadbolt, in case you lost the key to your home. So if you locked out of your house at 2:00 AM, we are ready to assist you immediately after you call us at (484) 547-7345 The technicians drive vehicles which are fully-equipped with the tools to get the job done right and on the spot. Have you moved to a new home and you don’t know who has possession to the key of your home? Would you like only one key to open all the locks in your home? Have you lost the key to your home and you fear that somebody got to hold on it? Therefore, you might consider to re-key the locks on your doors! Re-keying locks normally refer to the ability to change a lock so that a different key may operate it. You want to re-key a lock when you may be concerned that unauthorized persons have keys to the lock. So the lock may be altered by a residential locksmith so that only new keys will work. Re-keying is the relatively simple process of changing the tumbler or wafer configuration of the lock so a new key will function while the old one will not. When we re-key locks, you definitely don’t need to replace the entire lock. Are the locks on your doors very old? Are the old lock causing problems? It might be the time to replace the locks in your house. Whether you would like to replace an existing lock or to add a deadbolt on your door, we can help in a short time. 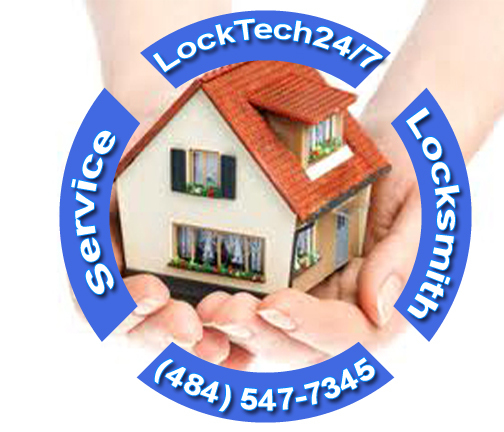 This is one of the major home locksmith services offered by LockTech24/7 Locksmith Company. If your lock is broken or you are looking for ways to upgrade your current home security system, we are one phone call away. You can trust our reliable and skilled locksmith professionals. It is important to note that your home security may be compromised if your locks are not operating properly. 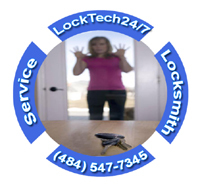 For that reason, you need LockTech24/7 Residential Locksmith Services to change your locks. Have you broken the key inside the lock? You just arrived at your house, you inserted the key and turned it to unlock the door, but the key broke inside the cylinder. You have finished your work, ran to your car and inserted the key to unlock the door of your car, but only the head of the key left in your hand and the blade of the key is stuck in the lock. It can happen to anyone and everywhere in the car, in the house, or in the office. If you have reached this page, chances are that you broke your keys previously, or you found a tiny crack on your key, and you assume that it gonna break soon. If so, you have found the best solution to your problem because LockTech24/7 Locksmiths can help. Would you like to get into your home without a key? Would you like to change the code of the lock instead calling a locksmith to re-key the lock every time problem occurred? Then, you need to consider installing a new keypad entry lock on your door. How Does a Keypad Lock Work? The keypads used with keypad locks can vary greatly. Some contain a small number of buttons that are labeled with numbers or letters, while others contain a full 12-button keypad similar to those found on telephones. The code for the lock is typically a four- digit or six-digit code, and must be entered in the correct order. When the code is entered correctly, a tone or other sound indicates that the lock has disengaged. Some keypad locks offer a security feature that prevents the lock from opening for 15 minutes after several failed attempts at entering the code. For security purposes, keypad locks allow users to change the codes used to unlock them to new codes of their choosing. Periodic code changes are generally encouraged as they provide added security in case someone was able to discover a previous code. The method by which codes are changed depends upon the lock manufacturer. Whether the lock is a stand-alone model or if it is part of a larger security system. There is typically no restriction on how often keypad codes can be changed. 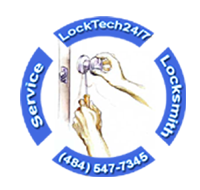 Locksmiths & security professionals at LockTech24/7 will be happy to assist you with keypad lock installation. With this in mind, we can install new keypad lock, as well as troubleshooting existing keypad lock that already installed on your door. Whether it’s a deadbolt, doorknob, or lever keypad lock, we can handle them all. We also offer a locksmith service for house eviction. If you got your court order, we are here to help. 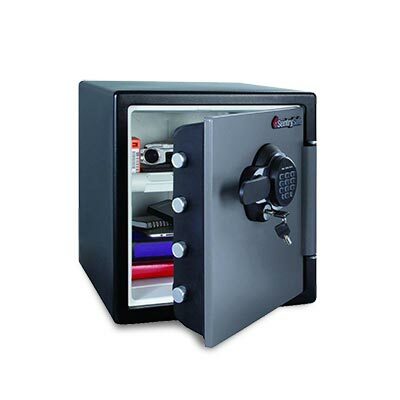 Safes became very popular in the last few years. Many homeowners love them, and you can find a safe in almost every house. Many people love safes because they gain extra protection and security for their valuable things. Sometimes, a malfunction electronic keypad or dial-up tune can go bad and you can find yourself locked out of your safe. Having a safe locksmith from LockTech24/7 can save you time and money. If you need a locksmith for a safe box, LockTech24/7 is the place for you to call. Please call us now! We provide Mailbox lock services in Allentown, Easton, and Bethlehem. With that being said, we’re serving home and business owners. This includes unlocking mailbox, lock replace, and mailbox lock replacement service. Mailbox lock can vary from one to another. This is because there are so many mailbox locks. Most of the mailbox locks are looks alike, yet, they are different from one to another. For this reason, it’s very important to fit the right lock to your mailbox. Please note; we are not able to take care of mailbox station because it belongs to your local post office. In this case, we must have a permission of your local post office, in order to replace your lock. If you have a problem with your mailbox lock, please contact your post office before calling our locksmiths. With this in mind, we will be happy to assist you any time you may need residential locksmith service. No matter day or night, we are here to help.